Yes, Luke. Yes, it is. But it doesn’t matter, your beer is alcohol-free, and it doesn’t even require that nifty bottle opener you wear on your collar. So, go ahead, guzzle some Bowser Beer. Lap it up at the beginning of a hard day. Use it like gravy, even, on your kibble. The other guys are doing it, too. I’ve known about the dog-friendly Bowser Beer for a while, but I had not run into any locally until last weekend’s Dogs on the Lawn event at the Nelson-Atkins Museum. 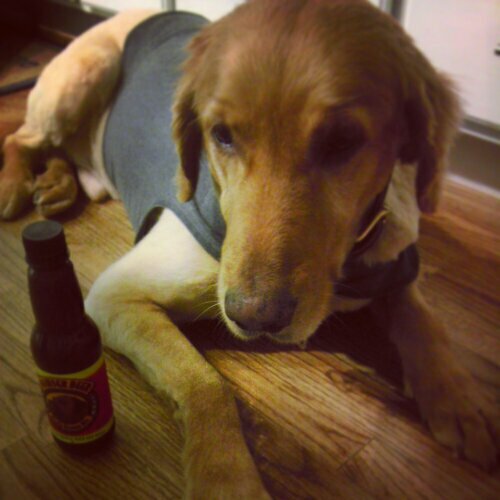 For just a few dollars, I grabbed a bottle of the Beefy Brown Ale for my boys to try. According to the label, the suggested serving size is one bottle for medium to large dogs and half a bottle for small dogs. However, even the proprietors of the food truck for dogs where I bought it said they don’t give their two labs that much beer. They suggested a splash here and there, maybe drizzled over some kibble. Just refrigerate after opening, they advised. I broke out the bottle the very next day. Before pouring some in a dish for the dogs, I tasted it myself. I found it watery and slightly sweet, not so beefy. Scooby tried it next. Although puzzled at first, he soon lapped it up eagerly. Luke then had pretty much the same reaction. 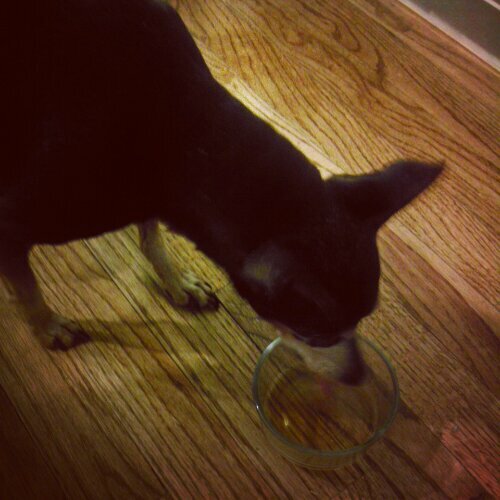 The next morning, I poured a little Bowser Beer over everyone’s dry food. That did seem to make mealtime significantly more exciting. Although I don’t see us buying Bowser Beer by the case, I think it’s a brilliant item for a dog-oriented food truck to stock. I’m sure Good Dog 2 Go will do great business at pet-friendly races and other summer events. 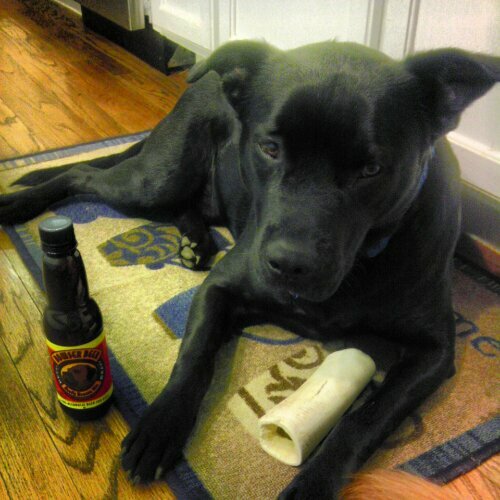 Besides the novelty, one reason someone may want to give their dogs Bowser Beer is for the glucosamine. Glucosamine HCL is the fourth ingredient on the label, after water, beef and malt extract. The only other three ingredients are common preservatives: citric acid, sodium benzoate and potassium sorbate. I could also see how incorporating Bowser Beer into a dog’s diet – regularly or as an infrequent treat – could help boost a dog’s water intake or help make liquid medicine go down a little easier. Bowser Beer is made in the U.S.A. with all domestically-sourced products. You can learn more at BowserBeer.com. 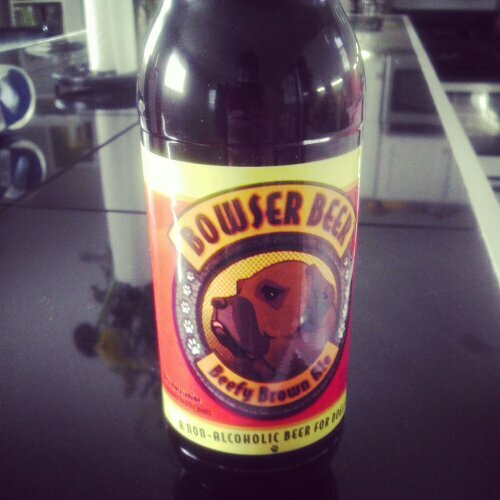 Would you let your dogs try Bowser Beer? I have no affiliation with Bowser Beer. 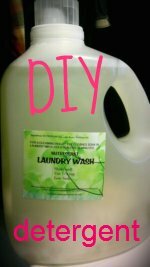 I simply bought some and wanted to share my experience! Gilles and Linda Auger started making diapers for their cat Bowie and later for their rescued Chihuahua ChiChi. Now, that is one agreeable cat. 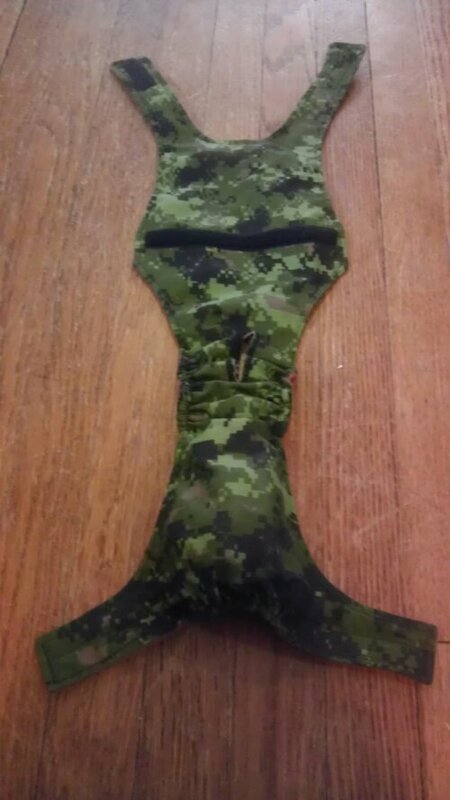 As I mentioned in my last post, I recently received from the Augers’ company Créations Entre Chats Et Chiens a pair of custom-made diapers Sergeant’s uniform to test on my incontinent elderpin Scooby. The overall-style diapers are designed kind of like a Thundershirt in that two straps wrap around the front of the dog’s neck/chest area and fasten with velcro. Velcro straps also secure the diaper part of the garment to the piece that wraps around the dog’s back. In theory, I like the Augers’ design a lot. The velcro straps allows some flexibility in the fit. If your dog is having a fat day, you can just let it out a little. Unfortunately – most likely due to my poor measuring ability – Scooby’s diaper doesn’t fit snugly enough. 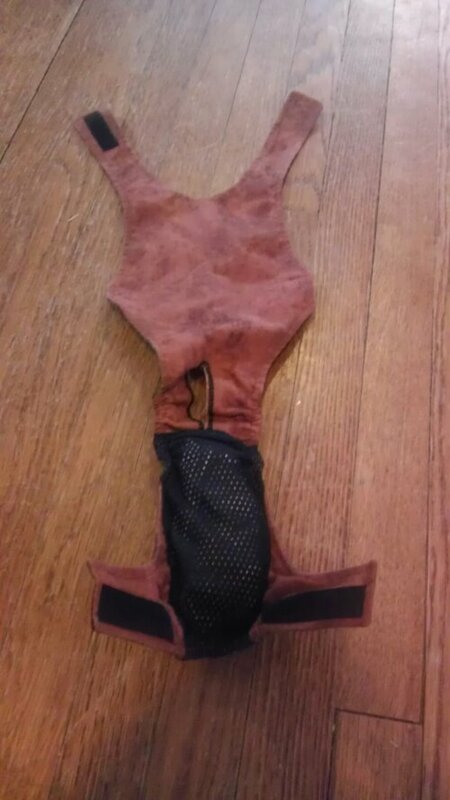 It bags out around his bottom, and the straps aren’t long enough to tighten it around his belly as much as he needs. 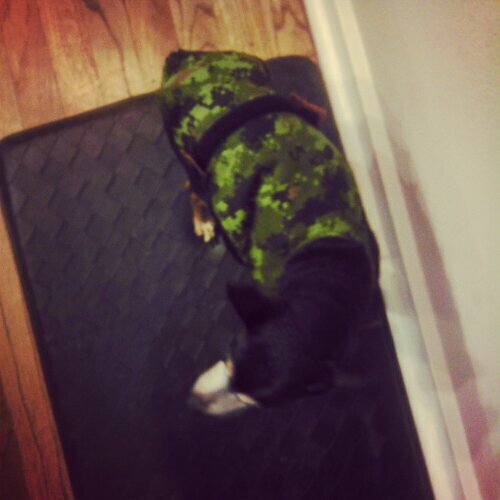 As a result, he is able to wriggle out of his little sergeant’s uniform and continue doing his business where he pleases. Furthermore, the fact that some of the scratchy part of the velcro touches his underbelly encourages his desire to get out of his diaper. While I cannot say for sure that the overall-style diaper has saved us from any accidents in the house, it is pretty cute (if, like me, you appreciate camo dog clothes). If I can con a friend with sewing skills into helping me alter the the diaper a bit, I think there is hope for its functionality. However, I would recommend that the Augers switch the placement of the male and female velcro strips so that the dog’s skin can only ever possibly come into contact with the softer bristles. This small company is new; the proprietors are friendly; and they are still perfecting their designs and rolling out new ones in a variety of attractive patterns. I am happy we had the chance to try this handmade product and wish the Augers luck with their business venture! 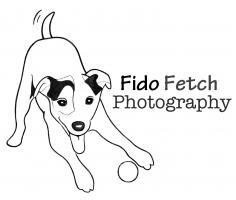 Have you discovered any cool new pet businesses lately? Disclosure: I received a free product in exchange for this review. All opinions expressed here are honest. Don’t tell him it’s an adult dog diaper. Tell him it’s a uniform. He needs to wear it when he has important things to do around the house – like exercise his authority as commander of comfy places – without leaking all over them. Scooby’s overall style diaper uniform was custom-made by Créations Entre Chats Et Chiens (aka diapersfordog.com), a small company based in Quebec, Canada. They contacted me a while back with an offer to outfit my little officer in exchange for a product review. Scooby’s incontinence has been an issue for basically the entire 6.5 years that we’ve been together. 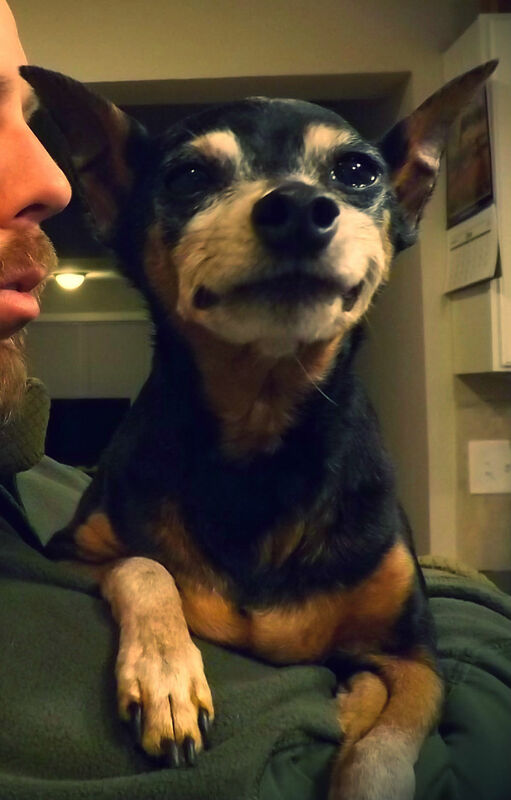 Of course, things are getting worse as he gets older and anytime he’s having health issues. Solving the piddles isn’t an easy task. Scooby wriggles out of belly bands and Pooch Pants. 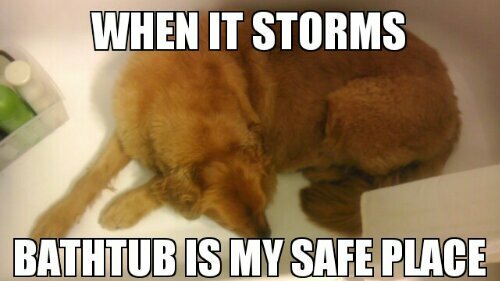 And potty pads aren’t an option at our house, lest they give the big dogs the idea that it’s OK to do their thing inside, too. Also, Scooby tends to have spontaneous accidents, in which case he just “goes” wherever he is standing or snuggled. Créations Entre Chats Et Chiens offers several styles and patterns of pet incontinence solutions, including male, female and unisex diapers. 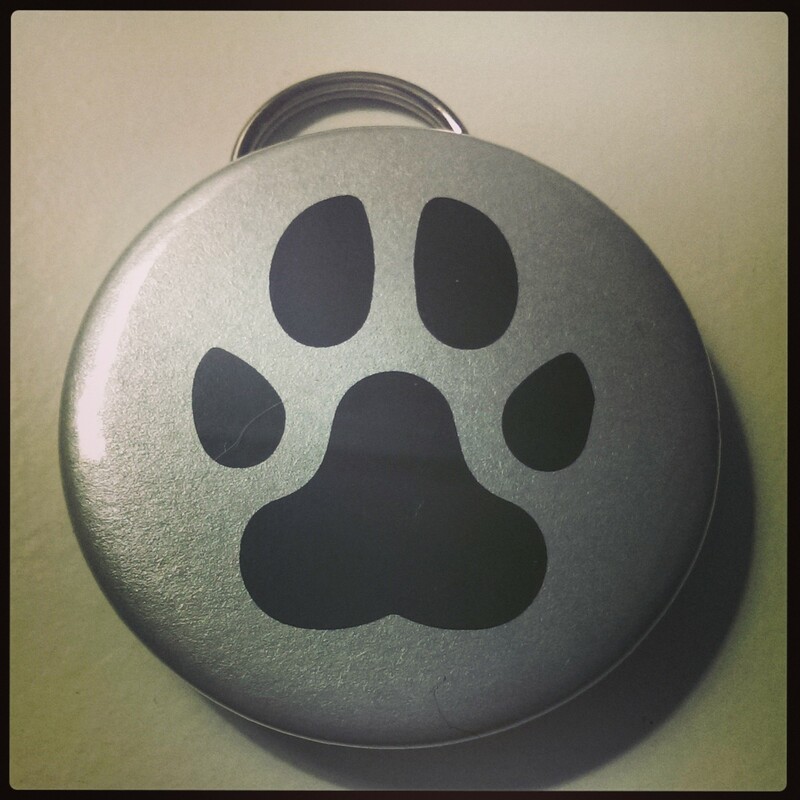 Each product is custom made by hand for your pet. 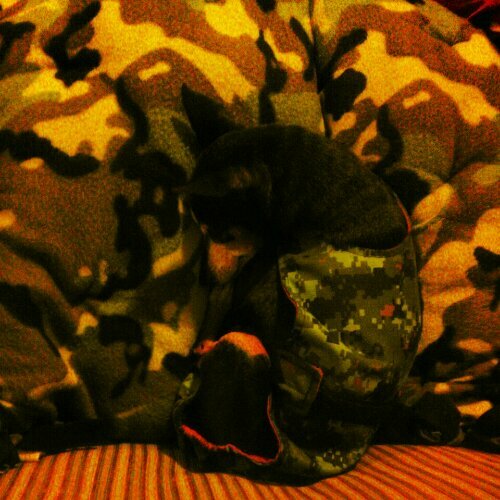 Because male diapers have not worked for Scooby in the past, I chose the washable overall dog diaper in a manly camouflage pattern. Many patterns are available, including zebra stripes. Come back tomorrow to see how this product has worked out for us! Have you ever put diapers a special uniform on your dog? How did that work out for you? I have eaten from the bag on the right. It was just a nibble from a KCcanine Natural Pet Treats Prairie Beef Jerky Nugget. I knew the dogs wouldn’t realize I had dipped into their stash. 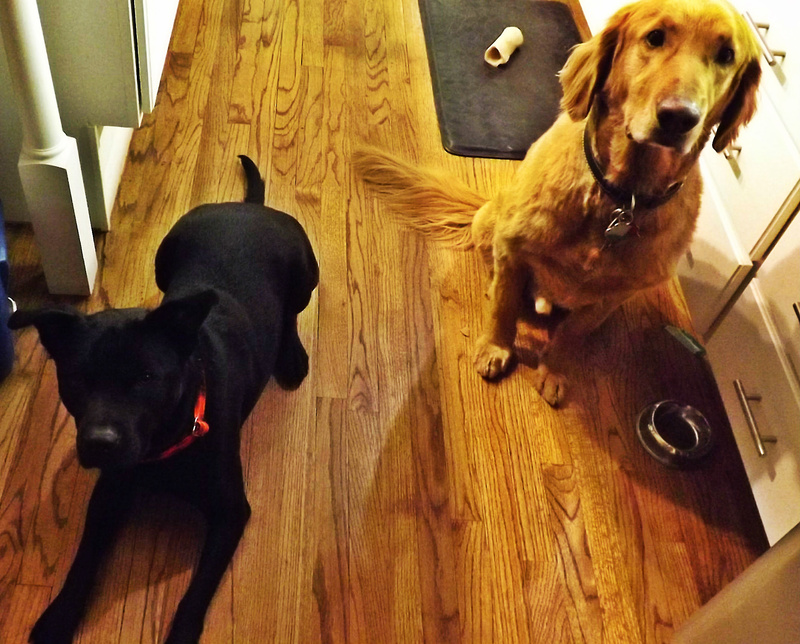 And I had to know – what exactly makes jerky for dogs different from jerky for people? Jerky is jerky – meat that is cut into strips and cured through drying. And that’s exactly what the beef nugget meant for a dog tasted like to me. It was just a little more bland than I would prefer – no spicy pepper. Some kinds of jerky are more processed than the nuggets. It may consist of various bits of meat formed into “strips” and held together with binder substances, such as wheat. That was the case with the Ideal Balance “jerky strips” I reviewed (but did not taste) a while back. 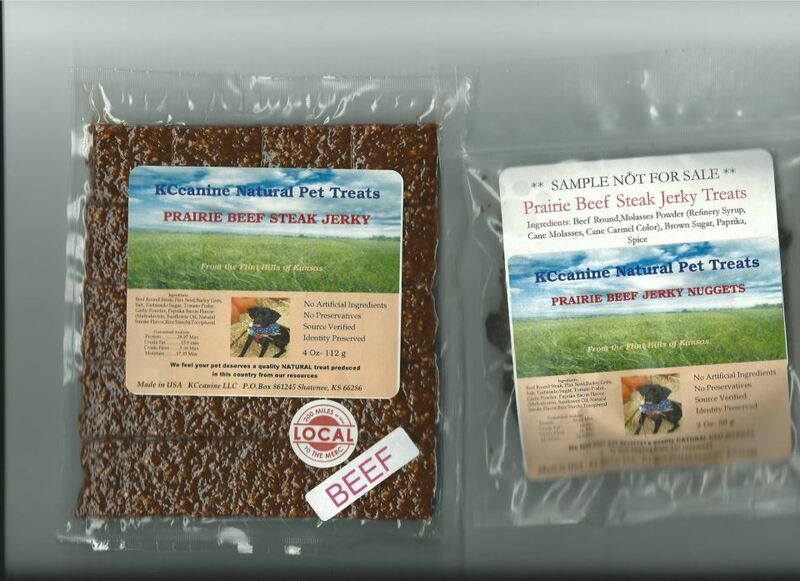 KCcanine Natural Pet Treats offers both traditional and pressed jerky. However, corn, soy, wheat or creepy, artificial preservatives are not part of the recipe for these Kansas-made products. 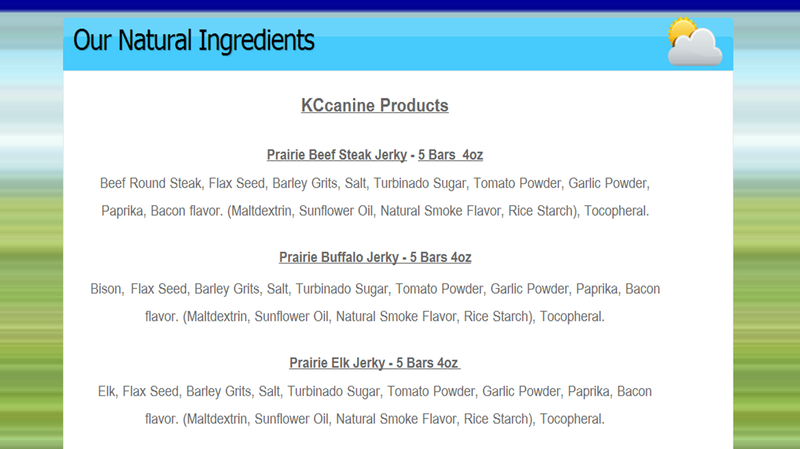 KCcanine posts ingredient lists for its pet products on the company website. If you’re like me and live in the Kansas City area, KCcanine represents an opportunity to buy local for your dogs and support a small family business. All ingredients come from the U.S.A., if not the Flint Hills of Kansas directly, which means with this jerky you don’t have to worry about the risks currently plaguing brands made in China. And that makes these guys super happy. 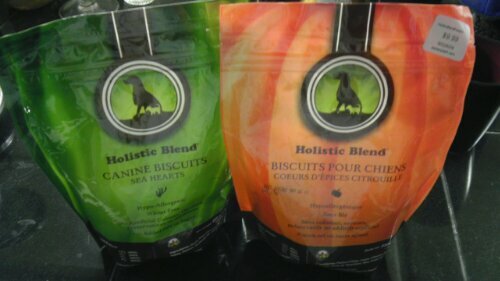 KCcanine Natural Pet Treats are available at a variety of pet supply and grocery stores around the Kansas City metro area. 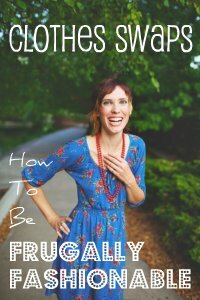 I get mine from the Boutique at Kennel Creek. 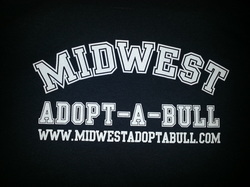 If you do not live in this area, you can order direct from kccanine.com. Disclaimer: I am not associated with KCcanine Natural Pet Treats, but I did receive a sample bag to review from Kennel Creek Pet Resort. Do you know what dogs can do? The truth is almost anything – and they really like having a job. At least, that’s the feeling I had as I read the book Dogs of Courage by Lisa Rogak. Dogs can use their sniffers to detect endangered species, missing people, dangerous and illegal substances and even disease lurking in your body. Dogs can use their bodies to protect, soothe, guide and inspire. Most of all, dogs can use their instincts to serve and to love. 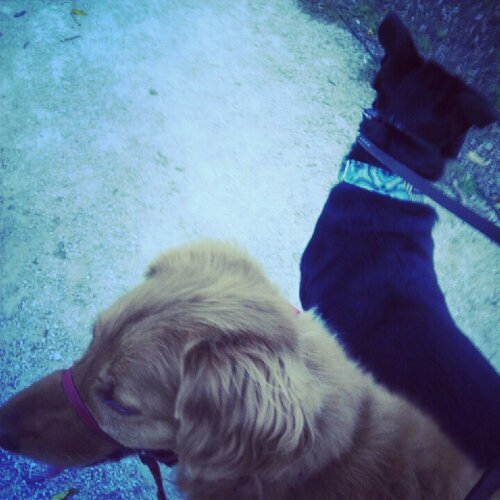 But often – not always – dogs need a human coach. That theme runs throughout Rogak’s book, which is a comprehensive overview of the myriad roles of the modern working dog and what qualifies him for his gig. In under 300 pages, the author describes in detail – and with plenty of expert interviews and real life anecdotes – dozens of jobs that dogs do for humans today. Some dog careers are familiar – police work, search and rescue, therapy. Others are more unusual or more specialized than you might realize – arson detection, invasive species tracking, reading assistance. The tales relayed by Rogak both educated and brought me near tears several times. For me, one of the most fascinating stories involves Xolo dogs, a Mexican hairless breed. Their ultra-warm, small bodies are, apparently, ideally suited to help provide relief to sufferers of chronic pain. 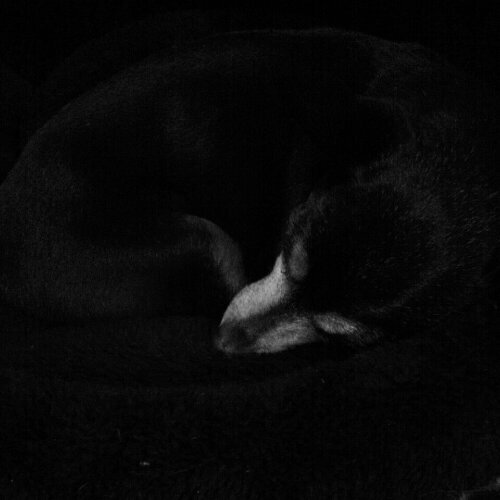 As I read about the Paws for Comfort dogs, I couldn’t help but think of my own tiny, toasty and thin-coated elderpin and how napping with him snuggled up against me is helpful when I get a migraine. Of course, other dog jobs are more complex and heroic on a grander scale, with canines acting to save humanity and other species on land, sea and even air, in all kinds of trying conditions. Throughout the book, I kept squinting with my brain to imagine dogs I know performing the heroic acts Rogak describes. I could see Luke offering comfort to residents of a nursing home. I couldn’t so much see Charlie Machete staying focused enough to sniff out someone buried under rubble in an urban disaster area. What is the bravest thing your dog has ever done? To learn more about Dogs of Courage, check out author Lisa Rogak’s website. 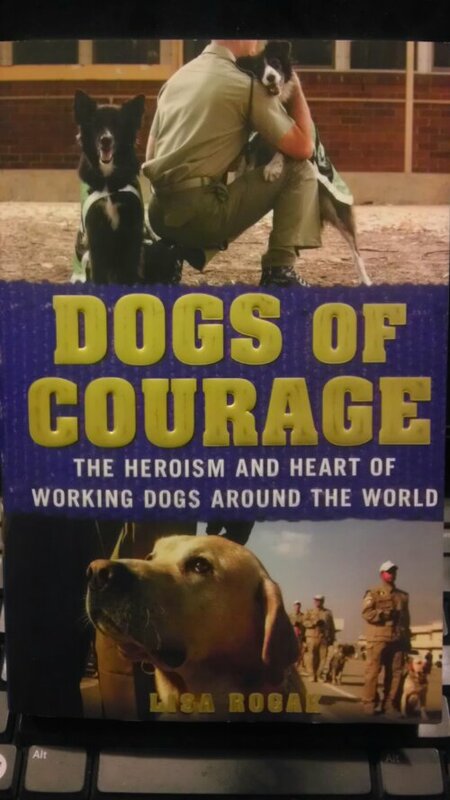 Dogs of Courage would make a great Valentine’s gift for the dog lovers on your list. Find more ideas for your human and canine sweethearts in my Valentine’s Day Gift Guide for Dogs and Dog Lovers. Disclaimer: The author provided me with a free copy of Dogs of Courage in exchange for an honest review of the book. This is what my backseat looks like just about every morning and afternoon these days. With Luke’s help, I could re-enact the photo from this product packaging exactly. 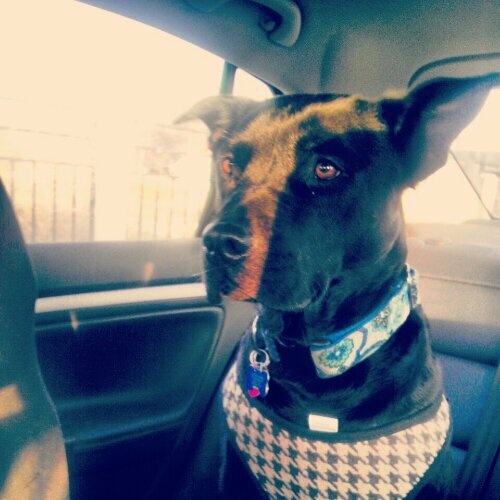 However, it’s not a golden retriever looking suave in a houndstooth harness in my backseat — it’s a black Heinz 57 mutt you all know as Charlie Machete. In the past, I used to do everything I could to avoid putting my foster dog in my Volkswagen. The car doesn’t make Charlie Machete sick or scared. It makes him way too excited. He wants to look out this window, and then he wants to look out that window. Then, he wants to stare at someone from the way back window. Heck, then, he wants to roll around in the front seat – never mind the gear shift. Oh, and then maybe he’ll settle for a co-pilot spot, front paws on the console, hot breath in the driver’s ear. That’s not a fun or safe way to travel from place to place. I was at first skeptical of the Cruising Companion. The box, which I purchased at TJ Maxx for $7.99, contained two items: a harness and a separate, short strap with one end designed to fit in a seatbelt mouth. The harness is pretty basic. 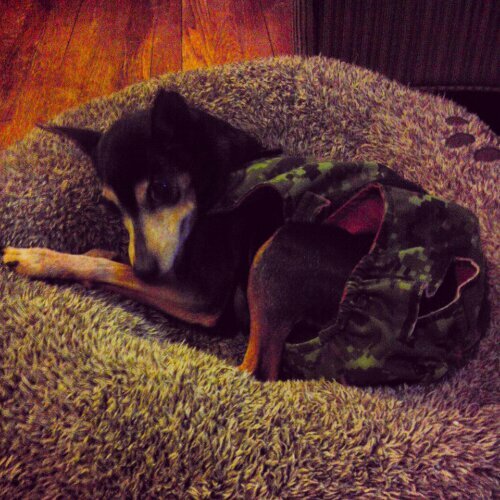 The back of the chest piece has a soft, Sherpa-like fabric, which is nice for the dog. There is a ring to attach a leash in the middle of the dog’s shoulder blades and another ring further down the dog’s back. The seat belt strap is supposed to attach to the second ring. 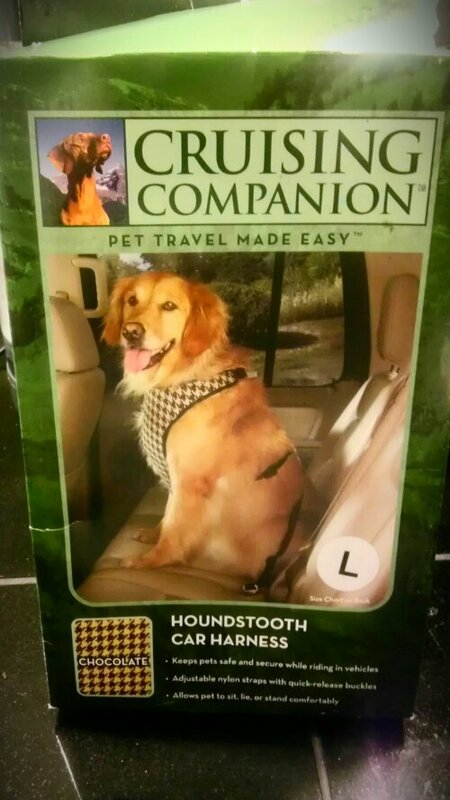 Basically, putting your dog in the Cruising Companion is just like having him on a leash in the car – a really short leash. I didn’t think Charlie Machete would stand for it, but he does fine. The strap gives him just enough room to stand and look out one window, sit pretty or lay down with his head on the console next to my arm. Gone are the days of this 65-pound dog trying to wallow around on top of me as I drive down the interstate. Short of kenneling him or an actual dog car seat, the Cruising Companion is a suitable solution for rides with Charlie Machete. Wondering why this dog is in the car so much lately? Come back tomorrow to learn about where he’s been going and what he’s been doing. Disclosure: I bought the Cruising Companion harness with my own money and received no payment for this review. This is something I’ve never seen Charlie Machete do at the vet’s office. Part of the reason that I have continued taking Charlie Machete to the vet for weekly boarding is his need for routine and familiarity. He may not enjoy parting ways with me in the lobby, but he is familiar with the environment and, at this point, most of the people. Also important: The vet clinic offers super cheap day boarding and is located just a few blocks from our house. However, since Charlie Machete brought home kennel cough following a weeklong stay at the vet clinic last year, I am hesitant to leave him in that environment for more than 12 hours. So, when I recently hit the road for my whirlwind weekend in Nebraska, I decided to cash in a boarding discount offered to me by a western-themed kennel in Olathe, Kansas. I had been wanting to check out Pet Ranch since meeting a couple of the owners way back in March at the Kansas City Pet Expo. I liked their cowboy boots, country style and willingness to accommodate all breeds of dogs, including individuals who don’t have great social skills. The Pet Ranch people are also involved with the manufacturing and marketing of the Emunity emu jerky treats, which our dogs thoroughly enjoy. Pet Ranch is located in one of Kansas City’s most sprawling suburbs. On the 30-minute drive, Charlie Machete seemed to get excited as the scenery changed from interstate traffic and strip malls to big houses and swaths of farm field. He loves to run in wide, open spaces. Although I did not get to take a full tour of the facility, it was clear as I pulled up that dogs there have a lot of room to roam. 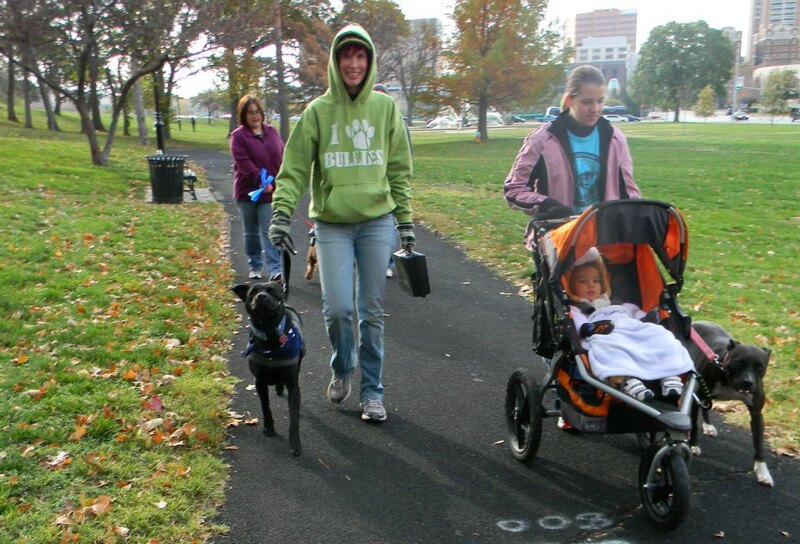 In addition to several large, fenced areas for play, there is a 13-acre private dog park. For an annual fee, Pet Ranch members can access the park anytime. It features a trail and ponds for pets and people to enjoy. I believe that park is where Charlie Machete was taken on individual walks during his stay at Pet Ranch, because I informed the staff that he was not ready for group playtime. From the moment we walked into the Pet Ranch trading post-style lobby, Charlie Machete and I both seemed to feel good about the situation. Thanks in part to the fact that the staff did not make me remove his collar and put on a temporary one, passing him off to a Pet Ranch handler was a seamless transition. In fact, while she cooed to him in a high-pitched voice, he kept his ears perked and never even looked back at me as they walked together into the boarding area and away from me. Two days later, our reunion in the lobby was equally undramatic. In fact, Charlie Machete seemed completely at ease with the two girls working. He didn’t lunge excitedly toward me, and even gave them each a goodbye kiss. Similarly: His behavior report included no bad marks. Unfortunately, Pet Ranch is too far away to accommodate our regular boarding and daycare needs. 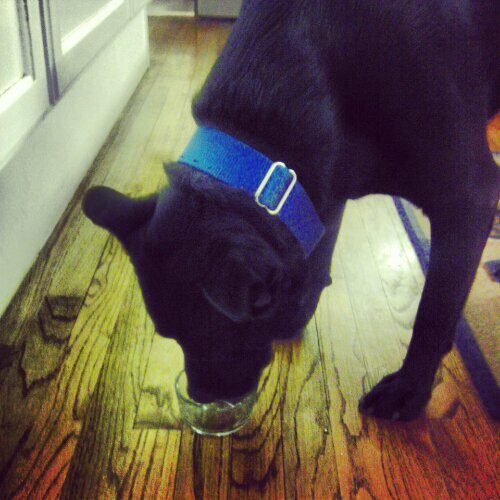 However, I am thrilled that my foster dog was able to have a positive experience there. Suffice it to say, we are now exploring nearby daycare options for Charlie Machete that are less like the vet’s office and more like Pet Ranch. 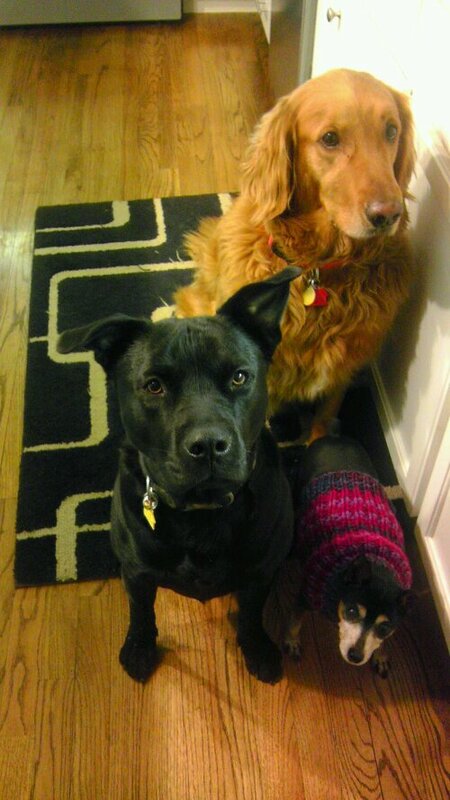 The three handsome beggars have been well-rewarded lately. Between new brands discovered in Nebraska, gifts from friends and samples from vendors, the dog cookie jars at Wayward House have been overflowing! The bounty is almost devoured, now. But I wanted to share with readers what the dogs and I think about all the new brands and recipes we have encountered recently. Did the Dogs Like It? They loved these little chunks and shreds of beef hearts. Although the adjective “chewy” only pertained to the treats when given to Scooby the rotten-toothed elderpin. The big dogs wolfed these down. Would We Buy It Again? Absolutely! I love to support farmers and buy straight from the source. Did the Dogs Like It? 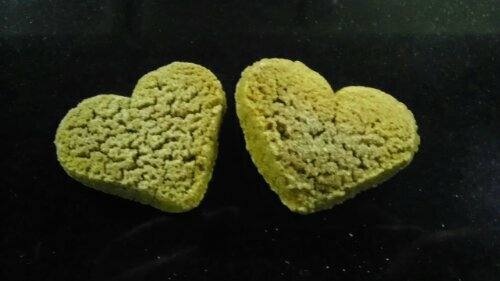 Our dogs ate these bone-shaped biscuits readily. Because Luke has shown signs of wheat allergies in the past, I felt OK feeding these to him because they are wheat and gluten-free. 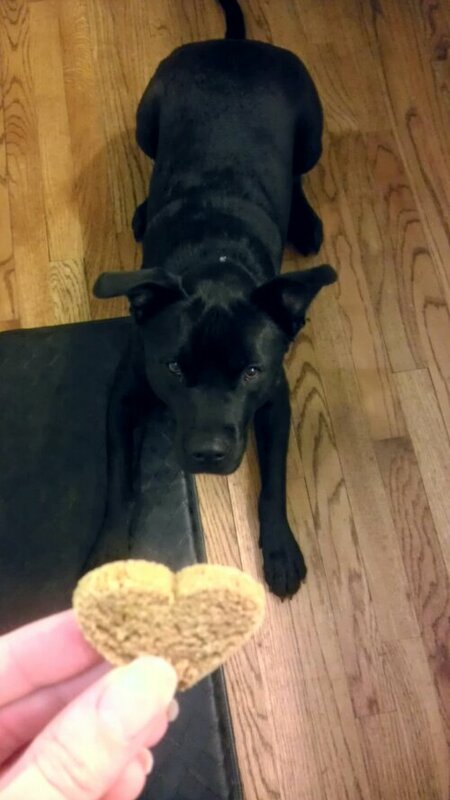 I also gave one of these biscuits each to Jag and Prowler, the german shepherds my dad helps train. They seemed a little confused. But perhaps that’s because they are used to gnawing on fresh buffalo bones they encounter in the field. Would We Buy It Again? Yes – as a fun treat that through purchase supports a local Nebraska business. However, I do wish banana appeared a little higher on the ingredients list, since it’s in the name of the product. Did the Dogs Like It? Yes. Would We Buy It Again? Probably not. It’s great that a big brand as respected as Science Diet is now making treats that don’t include corn, artificial colors or flavors. I also liked that I could actually see the cranberries in the biscuits. However, I doubt I would pay for these, due to our aforementioned preference to avoid wheat-based treats. Would We Buy It Again? Probably not. See above. Would We Buy It Again? Probably not. I joked that these were “wheat jerky.” When it comes to jerky snacks, I’d rather give the dogs something that’s all meat, like the beef heart chewies reviewed above or the emu and heritage chicken jerky they’ve had in the past. 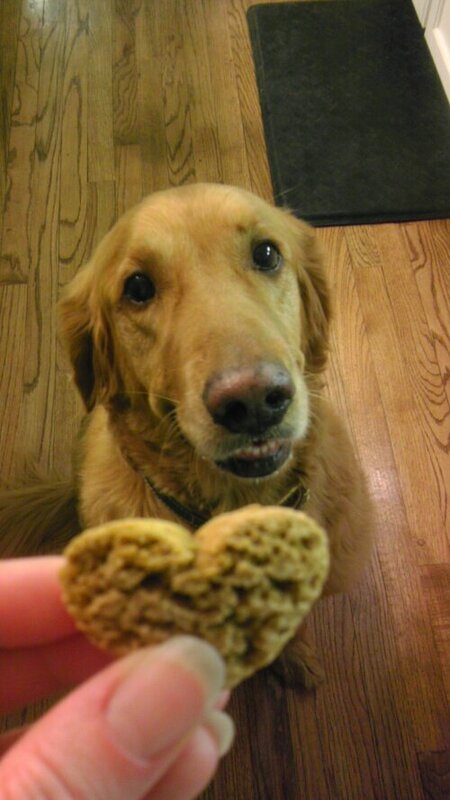 Have your dogs tried any new treats lately? Share your thoughts in the comments! Disclosure for Hill’s Science Diet products: I was given a free product or sample because I’m a Klout influencer. 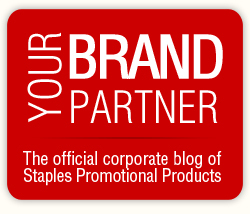 I was under no obligation to receive the sample or talk about this company. I get no additional benefits for talking about the product or company. Don’t forget to enter the Baltimore Bumble Crafts shampoo bar giveaway!